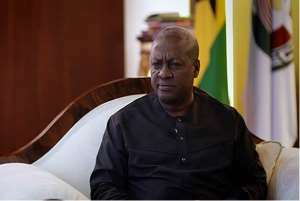 Former President John Dramani Mahama has left Accra today for Freetown, Sierra Leone, where he will be leading a number of meetings aimed at ensuring a peaceful election and its aftermath in the West African Country. A statement signed by Joyce Bawah Mogtari, Special Aide to Mr Mahama said, the former President will also lead the Commonwealth Observer Group to the Sierra Leone election. The meeting, the statement said is at the invitation of the PPRC which will go to the polls on March 07, with sixteen political parties contesting the Presidential Election. The former Ghanaian leader since his exit from Office has been recognised as a leading voice for the consolidation of democracy and improving electoral activities across the continent. As part of his activities, the former President of Ghana will also preside over the signing of a Peace Pledge by the Presidential Candidates on Wednesday, February 28, 2018. He will also hold talks with President Ernest Bai Koroma and meet with the Candidates, the Electoral Commission, Police Chief and Sierra Leone’s Donor Partners.